I mourned yesterday, much like the rest of the world, for the damage done to Notre-Dame de Paris by a horrific fire. She has occupied a special place in my heart since I first saw her back in 2011 when I was visiting my French boyfriend in his home city- the man who is now my husband. We sat along the banks of the Seine for hours, taking refuge from the heat in her great shadow. Since then, I can’t count how many times I’ve enjoyed her sanctuary. We spend the majority of our summers abroad in France with my in-laws who live just a few RER stops away in the suburbs of the great city of Paris. A photo I took last July of Notre-Dame de Paris. My mother-in-law and I used to walk right up to the front gate in the middle of the tourist season. The line to get in would be extended for as far back as the eye could see but she would just waltz right up, kindly request to the guards that we wanted to pray and the gates would open before us. A magical code that left hundreds of tourists in our wake wondering who these special people were that got to cut the line. If only they knew that all you have to do is ask in French. 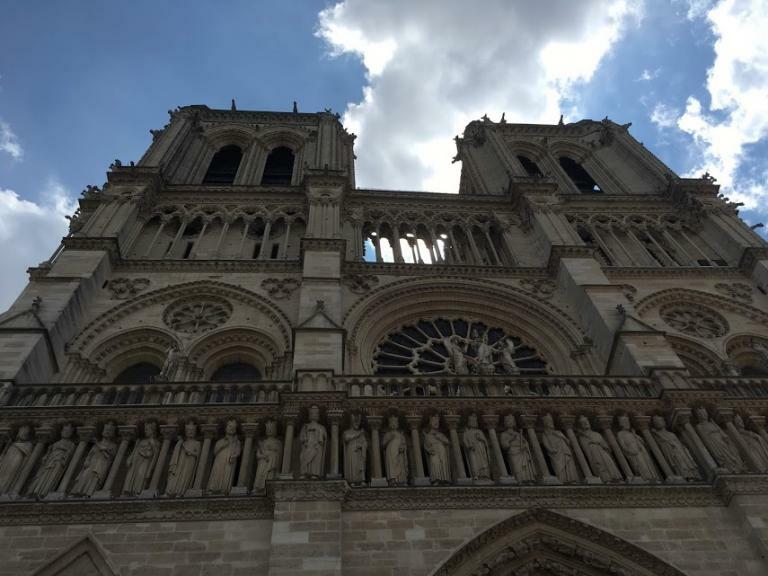 Every time I went inside, my eyes would grow from the incomprehensible majesty that was/is Notre-Dame de Paris. Spiral stonework, stained glass rose windows, lifelike statues, relics covered in gold casings, ceilings that soared into heaven- all in a breath. Notre-Dame de Paris is the steady, grounding heartbeat of a city that has lived for more than 2,000 years. I was shocked yesterday to hear that some were celebrating her destruction. I understand the bitterness that many feel towards the Church- I am one of those people. But Notre-Dame de Paris was/is so much more than a Catholic religious symbol. She is a temple to the Great Mother Goddess. A monument to the strength of the French people. A link between humankind and the Divine. A beloved friend to anyone who needed solace. Some have said that perhaps this event will be a catalyst for change. Perhaps that is so. Perhaps good will come of it. Or perhaps not. It’s hard to read fate. But today I mourn for the seemingly needless destruction of so much beauty. Just as I mourned when the Taliban destroyed the Buddhas of Bamyan or when DAESH sacked Palymyra. Or how I mourn when I think about all the great Classical works destroyed by the early Christians or the continued loss of sacred indigenous landscapes. And again, how I mourn when I consider what we in the West have done and are doing to the sacred land that we live on. The pipelines being built through our Mother. The sewage being dumped in our riverways. The fracking. The mining. The drilling. The trash. The over development. The exploitation. I could go on. While my heart breaks for Notre-Dame and the cathedral that I love, I am reminded that sacred places are destroyed around us every day. Notre-Dame de Paris nous prions pour vous. Puissiez-vous renaître de vos cendres. Défendre le sacré. 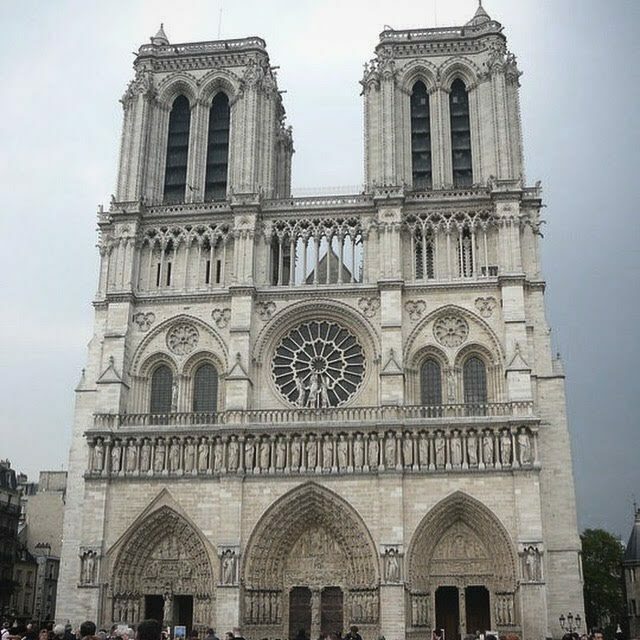 The first photo I ever took of Notre-Dame de Paris in 2011.